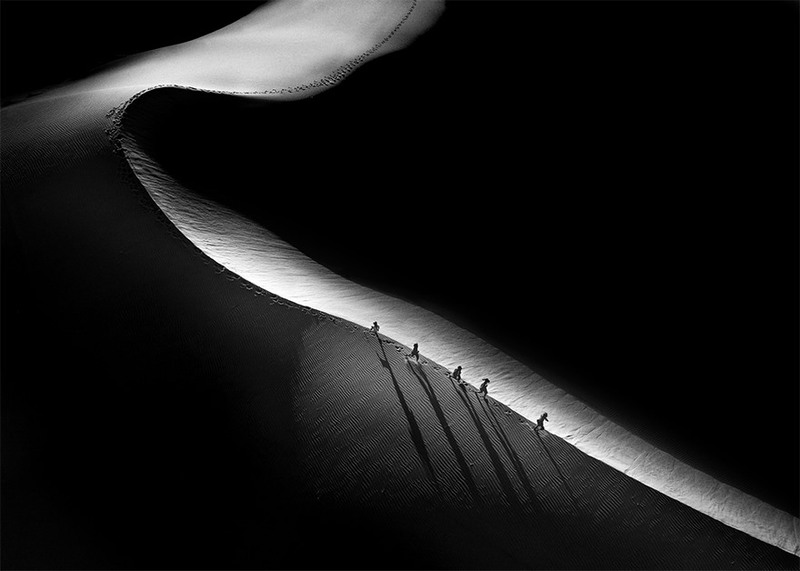 Exercise: ’Running Through The Sand Dunes’ by Pham Huy Trung — first prize winner in the Sport Category. 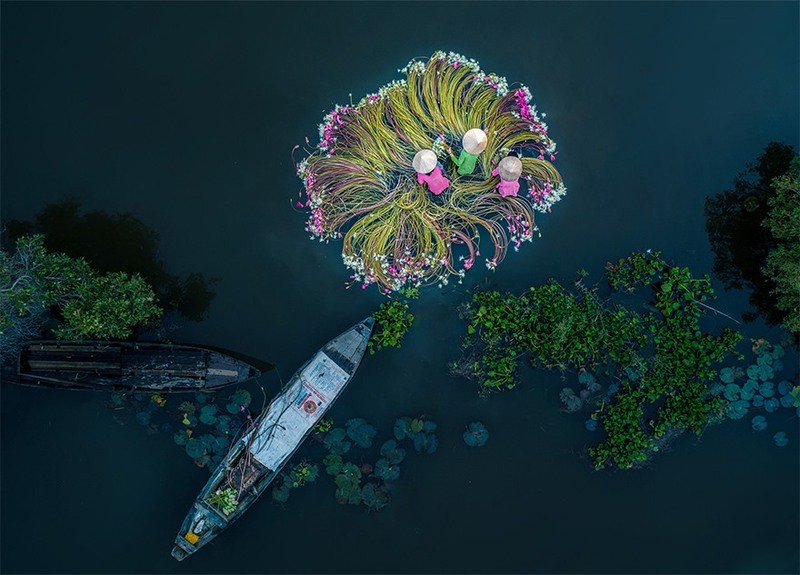 HA NOI — Photos by three Vietnamese photographers have been selected as winners of the 2018 SkyPixel Aerial Storytelling Contest – an annual contest held by SkyPixel, one of the world’s popular aerial photography communities. The photo Flowers on the Water by female photographer Khanh Phan from HCM City won first prize in the Fun Category. The picture was taken during water lily harvesting season in Tan Lap Village in the southern province of Long An’s Moc Hoa District. The photo depicts three women washing the flowers before they are taken to market. “They put flowers into a circle that looks very beautiful. Although it is hard work, the women have fun. They were talking and laughing while working. 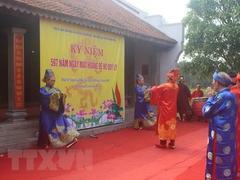 It’s a really lively scene,” Phan said. Hard work: ’Burden Salt Harvest’ by Nguyen Tan Tuan — second prize winner in the Fun Category. In the same category, the photo Burden Salt Harvest by Nguyen Tan Tuan from HCM City was awarded second prize. The photo depicts workers carrying salt to the warehouse on Viet Nam’s largest salt field – Hon Khoi in Ninh Hoa District in the central province of Khanh Hoa, about 45km from Nha Trang City. 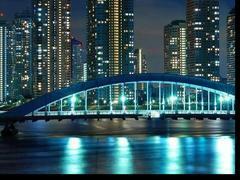 "They (the workers) start from 3am to 7am and work from 1pm to 6pm every day. When you come here, you can feel the heat from the salt field, so that’s why the workers have to start their day very early to avoid the burning sun on the field,” Tuan said about his photo. 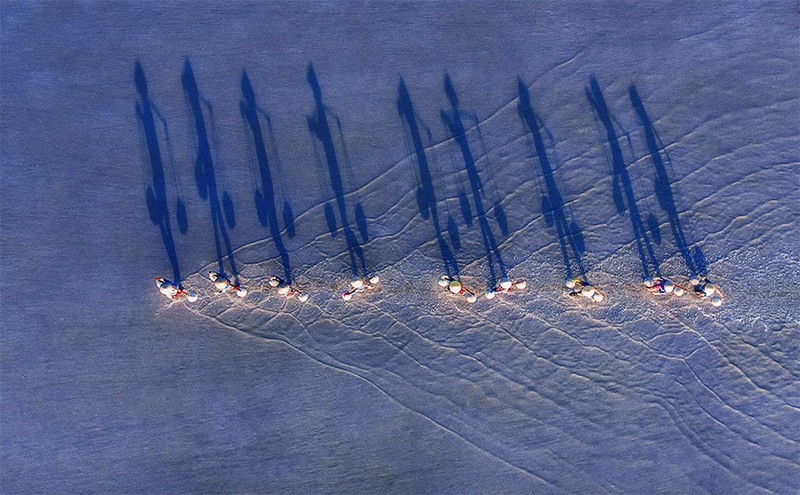 Pham Huy Trung’s photo Running Through The Sand Dunes, depicting a group of kids running through the sand dunes near their home in Phan Rang Province early in the morning, was named first prize in the Sport Category. Lively: ’Flowers on the Water’ by Khanh Phan — first prize winner in the Fun Category. The grand prize winner in the Photo Category was Mont Saint Michel by Deryk Baumgartner, who captured the sun-bathed Saint Michel monastery rising out of fog, framed by the ribbons of water on Mont Saint Michel in northern France. The grand prize winner in the Video Category is Ain Raadik, who shared a collection of adventures from his travels across New Zealand, Japan and Australia. Every year, SkyPixel sifts through thousands of aerial photographs to find the best drone pictures and awards them with incredible prizes.